I have a hard time choosing not to finish a book once I’ve started. My first impulse, since Try Not to Breathe by Holly Seddon opens with a description of an assault on Amy who remains in a fifteen-year coma, was to put the book down and not finish. I figured it would become more and more explicit and horrifying as the book wore on. But since I have this fixation of needing to know the end, I kept going. Alex Dale, a reporter, becomes possessed with finding the person who committed this crime. Her own demon of alcoholism has cost her a job and a marriage, and the reader is left wondering if she can keep her addiction at bay long enough to solve the crime. Characters are well drawn, including Amy who gets a lot of time as she begins to make sense in her own mind of what is happening in real time and the slowly returning memories from the past even though she cannot communicate from within the coma. Alex, with her weaknesses of dependence on alcohol and on her former policeman husband who has remarried and is awaiting the birth of his first child, remains a character to root for and to caution about who she should trust and which information is leading her down a garden path. Picturesque secondary characters keep the reader guessing which is the villain. I found the time when Alex visits Amy in the hospital touching and realistic as Alex talks to Amy with only a vague sense that she is hearing. 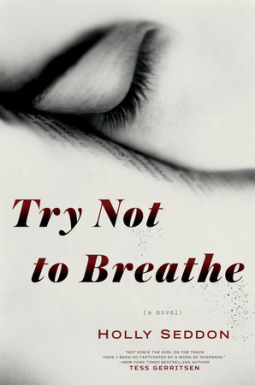 After an exciting read of this psychological thriller in an advance reading copy furnished by Net Galley, I was glad I hadn’t quit before I finished the novel that goes on sale February 23. The ending, while not tying all the strands in a nice bow, satisfied, and I wouldn’t mind meeting Alex again on another case.